What a beautiful pair! 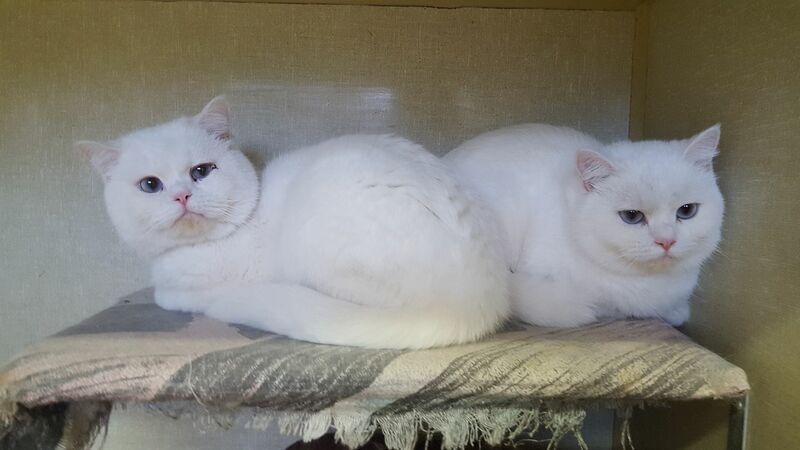 Blizzard (left) and Snow (right) are a striking duo of Exotic Shorthairs who are approximately 3 years old. They are a little shy at first when in a new situation, but love to play and purr-purr-purr for pets once they are settled. They enjoy a bit of a chat, especially if the topic of conversation is dinner! Blizzard and Snow did great with dogs and other cats in their foster home. If you would like to meet Blizzard and Snow, you can visit them at our adoption centre at 38 Barberry Road during regular store hours.